Hello ! It's Sue here and today I'm sharing a recycled project. When I was thinking what I could do for today's Step x Step I spotted this canvas among the pile of things I've gathered to alter and decided to give it a new lease of life ! This is what the canvas looked like to start with, I pulled off some of the original larger pieces on canvas. Then I die cut some flourishes and glued them to the canvas. 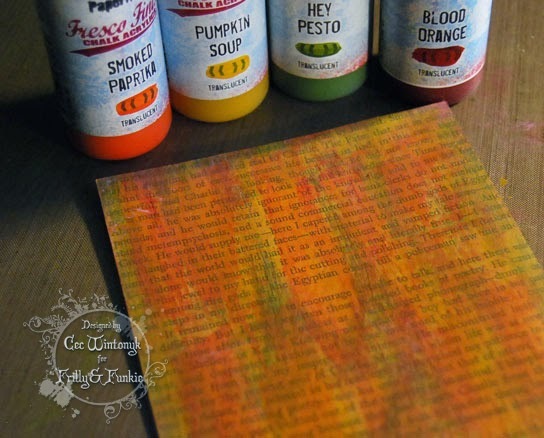 I then spread some Wendy Vecchi Embossing Paste over the canvas and used the Ranger Texture Tools to create patterns in the paste. When it was dry I painted over the whole thing with Gesso. 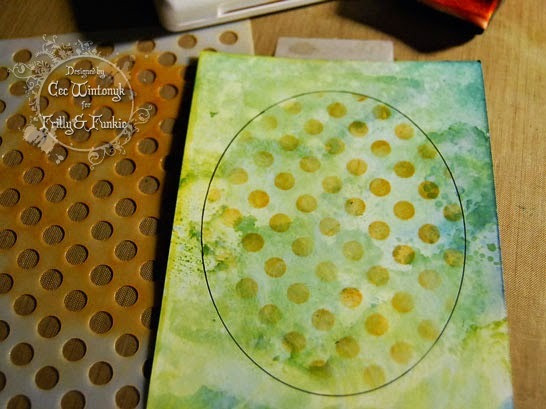 I then glued some Tim Holtz Tissue Wrap over parts of the canvas and then did some stencilling using the Wendy Vecchi Polka Dotty stencil and acrylic paint. I then used acrylic paint and applied it with a brush and then blended it with a baby wipe. Then I sprayed it with Iced Spruce, Gathered Twigs and Walnut Stain Spray Distress Stains and held the canvas upright to let the ink run. I then stamped the numbers onto some tissue paper and glued it to the canvas. 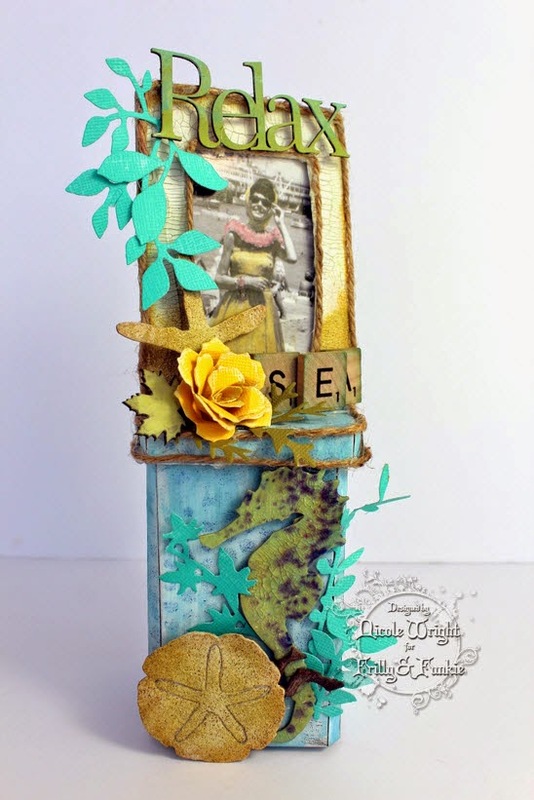 I then used the Wendy Vecchi Vintage Mesh stamp with Watering Can Archival ink. I then started to gather the embellishments and started with some paper flowers and used Conrflower Blue Archival ink with Cut 'n' Dry foam before I dipped them in clear UTEE in my melt pot. The colour of the flowers turned green in the UTEE, which I quite liked ! I've painted the metal embellishments with acylic paint and rubbed a metallic wax over them. The strip of fabric has been spritzed with Spray Distress Stains, Antique Linen and Iced Spruce and then I've stamped it using black Archival ink using a stamp from the Tim Holtz Stuff to Say stamp set. I then stuck some Ranger Foil to some black card and then I used alcohol inks and pounced them over the metal foil. I die cut some leaves using the Tim Holtz Garden Greens die, which you'll see in a later photo. They were a little to shiny so I dabbed them with acrylic paint. The oval frame is by Prima and I've painted it with acrylic paint and rubbed metallic wax over the surface. The image of the little girl is from the Tim Holtz Lost and Found paper stack and I've then covered it with Glossy Accents .The tape measure pieces are stamped usng a stamp from the Tim Holtz Artful Tools set and then cut into strips and a buckle attached to one end. I then assembled all the pieces and when I was eventually happy with the arrangement I glued it all down. I rubbed some more metallic wax over the texture of the canvas and then dabbed a darker blue acrylic paint around the edge to frame everything. I hope you've enjoyed today's step x step and maybe you have an item that needs some love ! Welcome to today's Guest Designer, Amelia ! 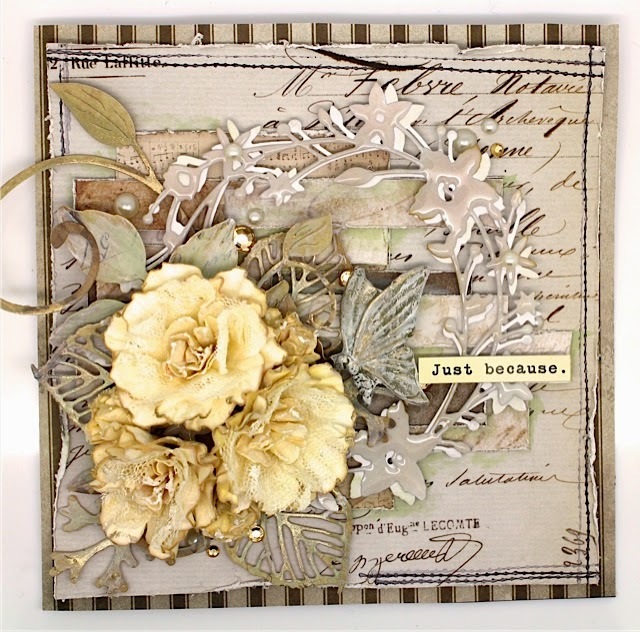 Today we are welcoming Amelia from Stamped for the Occasion as our Guest Designer. Amelia was chosen by the DT as the winner of the 'Be My Valen-Twine' challenge. Let's move on to hear from Amelia and see what she has made for the current challenge 'It's Time for a Vacation'. Hello everyone. 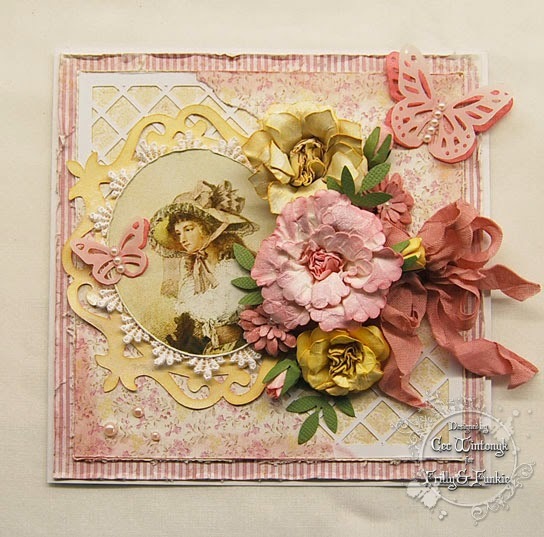 I am so delighted to be guest designer for the Frilly and Funkie challenge blog! It is such an honour. I live with my husband and 7 cats in Pretoria, South Africa. I am a librarian at a large residential university, but when I am at home I keep myself busy with card making. I have been paper crafting for about 16 years now. 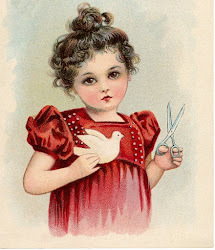 My style has developed over time, seeing all the beautiful cards from so many talented card makers. 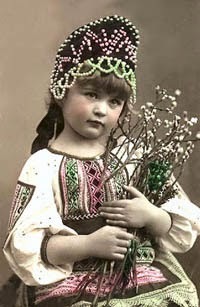 I would describe my style as a mixture of shabby, vintage and sometimes cute elements. I like experimenting with new crafting tools and products and using the older stash with new products is very challenging for me. I started my blog, "Stamped for the Occasion", in February 2010 and since then made so many friends around the world who share my passion. 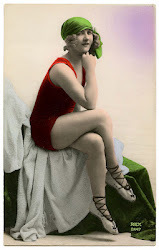 For the challenge “It’s Time for a Vacation” I decided to make a vintage card showing a vacation during springtime in Paris. I never visited France but one can always live your dreams in paper crafting! I chose a silhouette image of the beautiful Eiffel Tower and a lovely vintage image of two ladies as my focal point. To add some texture to my background I used delicate leaf die cuts for the top and bottom and then framed the image with a vintage clock die cut painted with Tim Holtz distress crackle paint. I love to add swallows to my travel themed cards because these lovely little birds travel each year long distances to countries far away – they are for me world travellers in their own way. 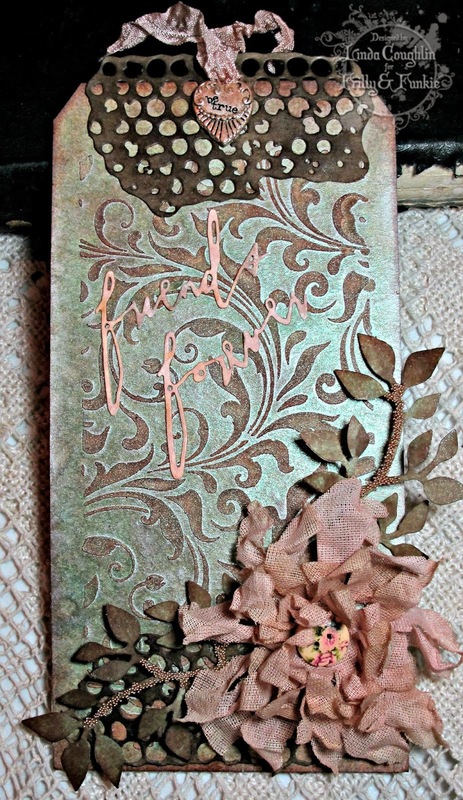 The Eiffel Tower silhouette is cut from recycled cardboard and distressed with Tim Holtz distress inks. The sentiment is attached with twine to the Tower and then cascading down to connect all the flowers on the card. 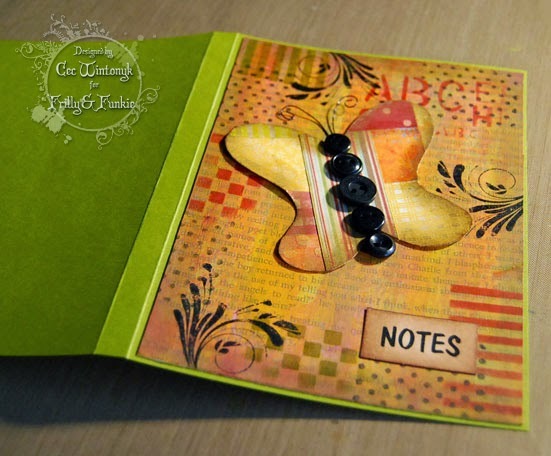 To see more pictures and the project details of the card do check out my blog. Thank you for asking me to join the Frilly and Funkie Challenges as a featured Guest Designer – your challenges always inspires me. I'm sure you'll all agree that Amelia's card is beautiful and has provided lots more inspiration for the current challenge, 'It's Time for a Vacation'. Hi everyone and welcome to a Friday Focus with me, Jenny. 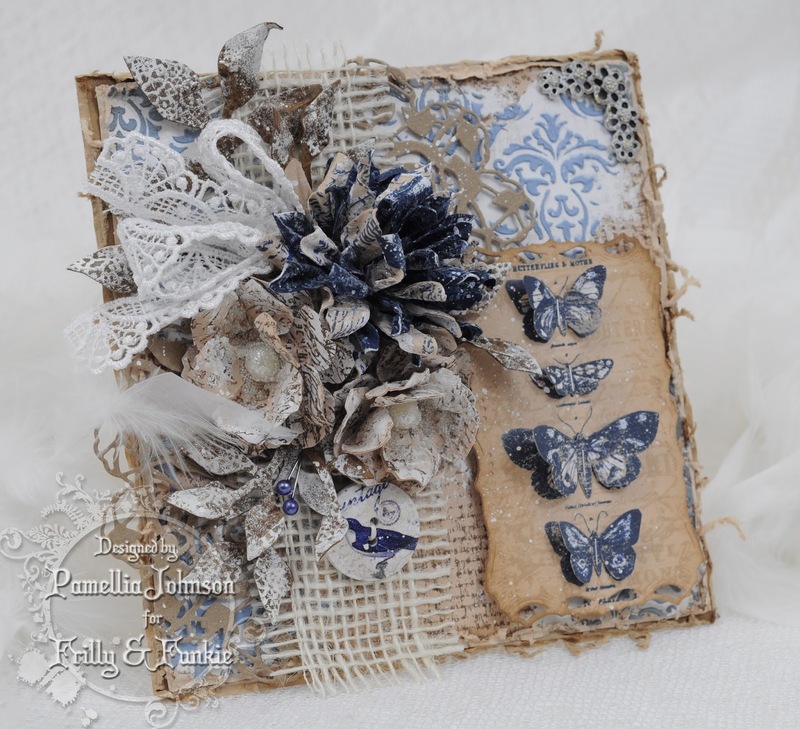 Thank you so much for the wonderful comments on my 'Winter Blooms' challenge card this week. Many of you said you were looking forward to a step out for this one, particularly as I've used products which may be new to you - FlitterGlu and Mega Flakes from IndigoBlu. FlitterGlu is a super tacky adhesive specifically designed for applying gilding flake to any surface and you can find it in stock now at The Funkie Junkie Boutique. To celebrate the arrival of the FlitterGlu Starter Kit you'll find a special Friday Focus 15% discount applied to it through the next two weeks, so if you were tempted now's the time to give it a go! You'll get everything you need to get started in the FlitterGlu Starter Kit, including the FlitterGlu itself and the Phat Foam for applying it. Start by cutting yourself a piece of Phat Foam (at least one inch square) and add a teaspoon of the FlitterGlu (direct from the twist top nozzle on the bottle) onto the spongy side of the Foam. Make sure you close up the bottle and wipe any excess glue from the nozzle so it's easy to reopen next time you come to use it. Use the spatula in the kit to push the glue into the sponge until it is all absorbed - think of it that you are making yourself a 'glue ink pad', then wash your spatula in cold water straight away (no soap needed). The glue is water soluble and it is also a fast grab glue so you need to clean up as you go. 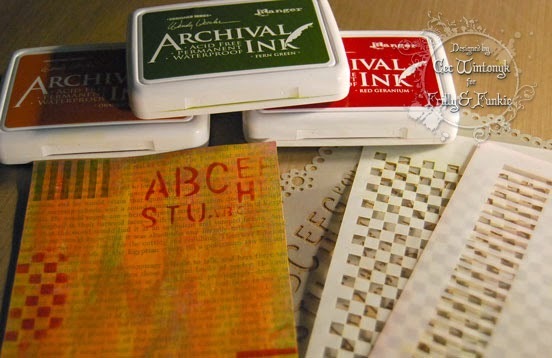 Now you have your FlitterGlu 'ink pad' made use it to apply the glue across your stamp in a patting motion. The glue should appear white when you apply it - if it is clear you may not have enough on your Phat Foam or it may be drying out. You can add more FlitterGlu to your sponge to reactivate it if you still have more projects to complete. The 'ink pad' should be good for 2-4 hours if you store it face down in between uses on a non-porous surface, like a tile or saucer. Now you need to stamp your image (I used the Peony Posey stamp) - this bit is different from stamping using your regular inks and it's important for getting a good result every time. You need to 'KISS' the stamp to the card (or other surface) for a couple of seconds WITHOUT pushing down onto your stamp. Then lift away quickly and put your stamp straight into cold water for washing. It might feel like you're not going to get a proper image by stamping so lightly but FlitterGlu is a super fast grab glue designed to work in seconds. If you press down on your stamp for too long you are likely to stick the card to the stamp. Should this happen you'll need to put the whole lot into cold water to clean your stamp. Once you've stamped your image it will remain tacky for at least 24 hours, so there's no rush to get it covered. I can't stress enough how important it is to work really quickly when you stamp and then get your stamp and hands into that cold water to wash away any remaining glue. It gives your stamped image time to get even tackier and also means your hands will be clean and dry for the next stage. Now take a few Mega Flakes from your tub and add them over the FlitterGlu stamped surface. You don't need to use handfuls of flake at this stage and move your flake around to cover all the sticky areas. If you find your flakes are expanding out of their pot you can decant them and store them in the handy box that comes with your kit. These flakes are super fine so stay away from drafts when you're using them. Now you've got those Mega Flakes all over the stamped image (and have the lid back on your pot/box) you need to bond the glue to the flakes. Gently rub your fingers over the surface in a circular motion to do this. You'll find some of the excess flake will start to come off already. To get that beautifully crisp image to come through completely use the Scoochy pad in your starter kit. By gently rubbing over your flittered surface in circular motions and turning your card to repeat this you'll remove any remaining flake dust. Make sure you don't scrub at your image though as you risk removing more than you want. And now you have your gilded image ready for adding to your card. You'll notice on my finished card there are thin gilded and stamped strips layered on top of this first black panel - this is easy to achieve. 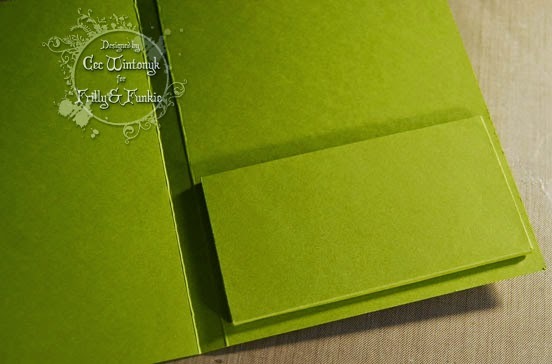 By swiping your FlitterGlu filled Phat Foam across a plain piece of card you'll create a sticky panel. Now repeat the process of adding a few flakes at a time to this surface (with clean, dry hands) until you've covered all of it. Rub over with your fingers to bond the glue to the gilding flakes, then remove any excess by gently rubbing over with your Scoochy pad. I simply stamped the same Peony Posey image in black gesso over the glided surface before cutting it into strips. 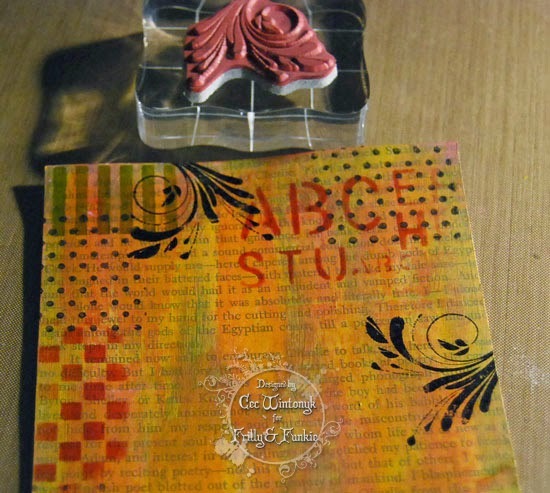 You can also die cut this piece of gilded card with all your favourite dies or use it to mat and layer another image! To create the central flower on my finished card I used the coordinating Peony Dinkie stamp with the FlitterGlu to stamp onto plain white card in exactly the same way as described before. This time I added black embossing powder over the surface and heat set it with my heat gun in the usual way. Having repeated this several times I painted the flowers with Victorian Velvet Distress Stain before fussy cutting and layering them. The card was finished with some gilded leaves (created in the same way as described above using the leaves from the Giant Peony set on white paper and vellum) a beautiful sentiment (from the Becca set, stamped onto card painted with Aged Mahogany Distress Paint) and some burgundy coloured burlap string, twisted behind the central layered peony. I used a white gel pen to colour a few of the smaller flowers on the black panel. 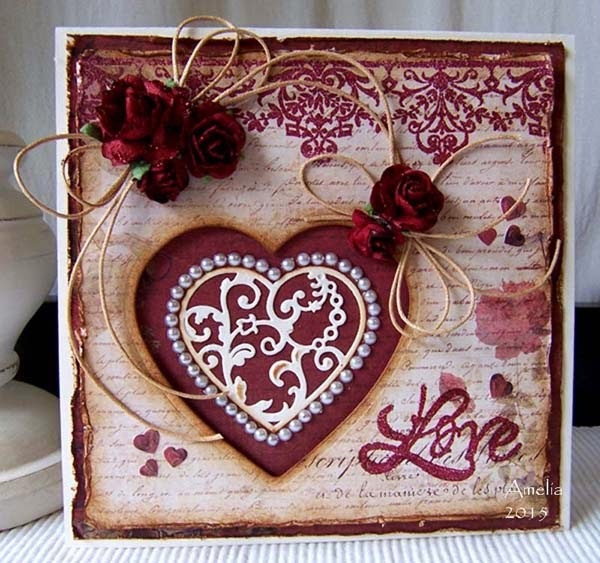 You'll also spot some Melissa Frances white pearl embellishments which are guaranteed to complete a card beautifully. I hope you've enjoyed today's tutorial and feel ready to give FlitterGlu and Mega Flakes a go (if you haven't done already) to add a touch of elegance to your cards and other projects. If you have any questions please ask and I'll do my best to help. There is also a really great video tutorial HERE from Kay Halliwell-Sutton, one of the co-founders of IndigoBlu. And don't forget, there's that special Friday Focus 15% discount applied to the FlitterGlu Starter Kits at The Funkie Junkie Boutique through the next two weeks. Hello! It's Sue here and I'm your host for the second week of the current challenge, which is Winter Blooms. 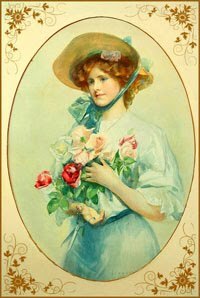 At this time of year the gardens are looking a little dull, so let's take this opportunity to create our own flowers! Whether you make roses or paper daisies, let's see lots of handmade flowers on your projects! Have fun! The winner will earn the chance of a Guest DT spot here at Frilly and Funkie, and everyone who enters and follows the rules will be entered into the draw to have the chance to win a $25 spending spree at The Funkie Junkie Boutique. The guidelines for entering are simple: create a new vintage or shabby chic project following the challenge theme, link it below to your post (not just your blog) and also include a link back to this challenge in your post. You can combine our challenge with up to 10 challenges (including this one) to be in with a chance of winning. Make sure you follow these rules as unfortunately we have had to eliminate entrants from the prize draws in the past when they have entered too many other challenges. If you are entering through a public forum please use keyword F&F. Also, please be sure to turn off your Word Verification so our Design Team can leave comments on your blogs. This week it's the turn of the Funkie team to show you their amazing projects to get those creative juices flowing! This week the Design Team are joined by the fabulous Georgie C (Little Blue Craft Box) who is so kindly stepping in for Nancy for a couple of weeks. Please make sure you stop by her blog and take a look at her incredibly beautiful work. Georgie and the rest of the Frilly team have made some outstanding projects to get your creative juices flowing! So, it's over to you now to share with us your 'Winter Blooms'! Welcome to the beginning of a new week and it's time to announce the winners of the 'Be My Valen-Twine' challenge. Thank you to everyone who took the time to enter with some fabulous ideas and it was really great to see lots of new players too this time. The Design Team had lots of favourites to choose from and it was a very close run thing, but in the end we voted for #28 Amelia B. We loved the whole look of this card which had a real vintage feel and a beautifully balanced design. Congratulations Amelia on being our favourite for the 'Be My Valen-Twine' challenge and winning the opportunity to be a Guest Designer here at Frilly and Funkie for a future challenge. And Random.org has chosen a winner for our $25 gift certificate to The Funkie Junkie Boutique. Our congratulations this time go to #32 Deb Riddell (Paxton Valley Folk Art). A huge thanks from the Frilly and Funkie team to everyone who took part in this challenge and congratulations again to our winners. Please email Linda at thefunkiejunkie@gmail.com for the codes for the winner's badge and to give us your email address for the Guest Designer details (Amelia) and for the gift certificate details (Deb). Our current challenge, 'Winter Blooms', runs through Tuesday, February 24th. We hope to see you entering this time around so that you too can be in with a chance to win. And please make sure you follow our rules to be in with a chance to win; you can enter up to 10 challenges including ours, and a maximum of 3 entries per person to our challenge. Please remember to link back to our challenge in your entry and mention in your post that you are entering this Frilly and Funkie challenge. Hello, Cec here and today it is my turn to present the Saturday Step X Step and I decided to make some notepad holders that can be given as gifts. This is the version I started with but I will show you other ways to decorate the front of this versatile little project since I made 4 of them only because I picked up the notepads in a pack of 4 at the dollar store for $1.25 (I know they still call it the dollar store when nothing is a dollar anymore - go figure). I started by figuring out the sizing of the holder itself based on the fact that these pads are 4" x 5 1/2" and making sure that there was some give inside. I have made a graphic to show you what the cut sizes are and where you need to score - just click on it to bring up a larger version and then you can right click to save it. I take credit for this size but the idea came from my friend Patti and was something we both made when I visited her last summer. Here is the one she made while I was there. The holder itself was made from one 8 1/2" x 11" sheet of Recollections card stock. This is the outside which is 9 1/8" x 6" and scored at 4 3/8" and 4 3/4". This photo shows the pocket, which is 4 7/8" x 2 1/2" and is scored at 1/4" and 3/8" on each of the short sides and one of the long sides. You then want to cut the corners out where the score lines cross as shown in the graphic. I attached double sided tape to the edges and then set the pocket aside while I created the front panel. Now I can't draw a straight line without a ruler so I channeled my grade school self and this is how I created a butterfly template since I didn't have a die I could use. Trust me this was not the first effort. Next I dug into my stash of paper scraps and cut a bunch of fun papers into strips and adhered them to some card stock. Then I used my fancy butterfly pattern to cut the butterfly out making sure I positioned it to try and include as many of the papers as I could. 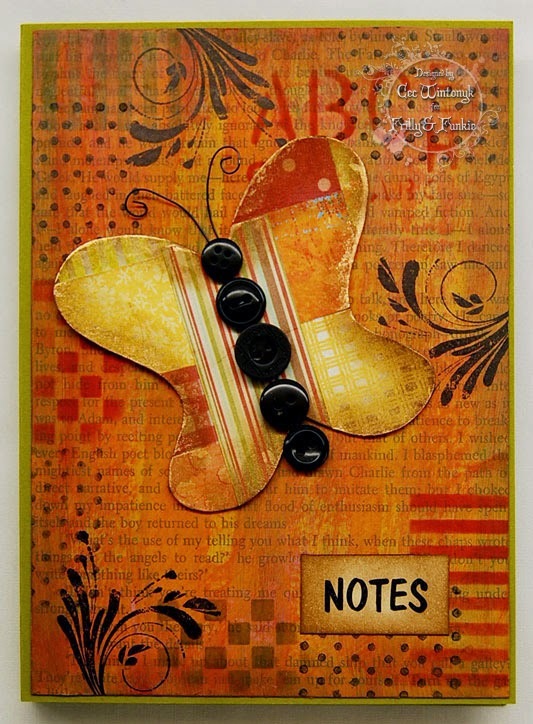 Once the butterfly was cut, I inked it with some Vintage Photo Distress Ink and then added some Treasure Gold Classic to the edges. Next I used some Glue and Seal to adhere an old book page to a piece of card stock. Then using a technique that Sue Carrington did for a wall hanging she made, I added layers of Fresco Finish paints drying very slightly between coats and wiping it back with a baby wipe. The colours I used are Smoked Paprika, Pumpkin Soup, Hey Pesto and Blood Orange. 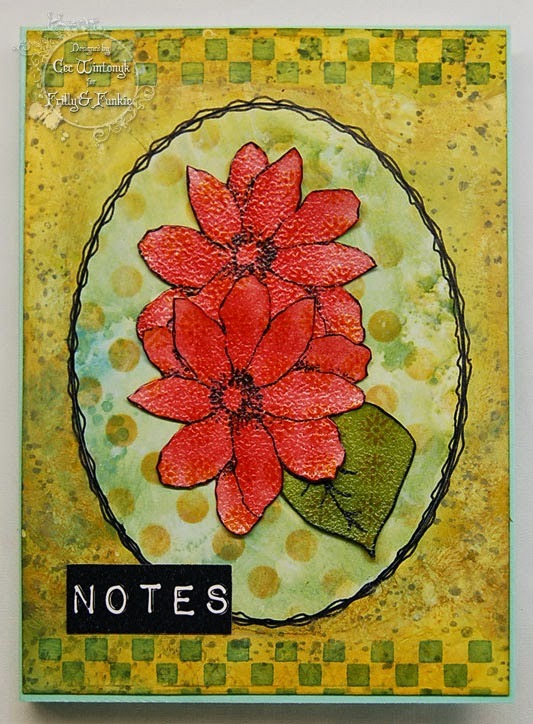 I did some stenciling with Fern Green, Orange Blossom and Red Geranium Archival Inks. I then did some stamping using some Watering Can Archival Ink for the dots (sorry forgot to include this in the photo) and Jet Black Archival Ink for the flourishes. Next I added the butterfly with some black wire for antennae and buttons for his body. I also added the little text sticker, which was computer generated and inked with some Vintage Photo DI. The next step is to add the finished panel to the front. If you try to add it after you adhere the pocket inside, you will need to make sure that you have inserted the pad or you will crush the pocket if it is empty. Finally I added the pocket on the inside. I recommend that when you fold the score lines you do the 1/4" line first and then the other line on each side. Next remove the tape from the long side and bring each side over the long side making sure your edges match and you have a neat corner. Then remove the tape from each of the sides and adhere the pocket to the bottom inside right making sure you centre it and keep the bottom fold at least 1/4" up from the bottom. 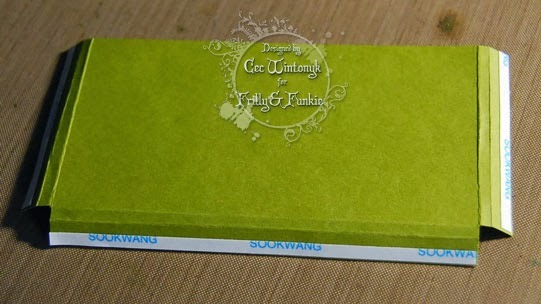 The pad's cardboard backing is then inserted in the pocket so the paper comes over the pocket and the pad should be centred inside the holder. Here is the next version I made. 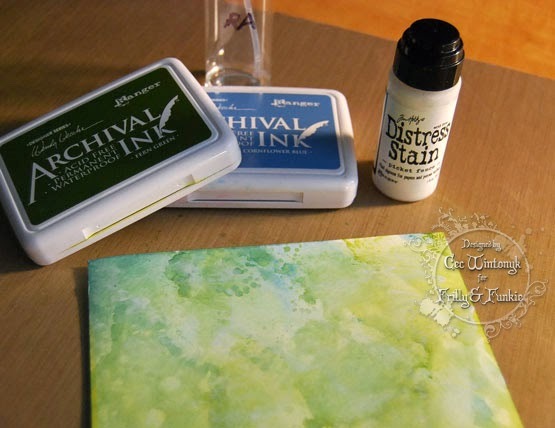 I started by marbling some specialty stamping paper with Fern Green and Cornflower Archival Ink mixed with some Rubbing Alcohol and then when it was dry I ran it through some watered down Picket Fence Distress Stain. The Picket Fence doesn't show well in the photo but you can see bits of it in real life. Next I used a die to make an oval stencil/mask from some cardstock since I don't have one of the nice ones that Wendy has come out with but they are on my wish list for sure. 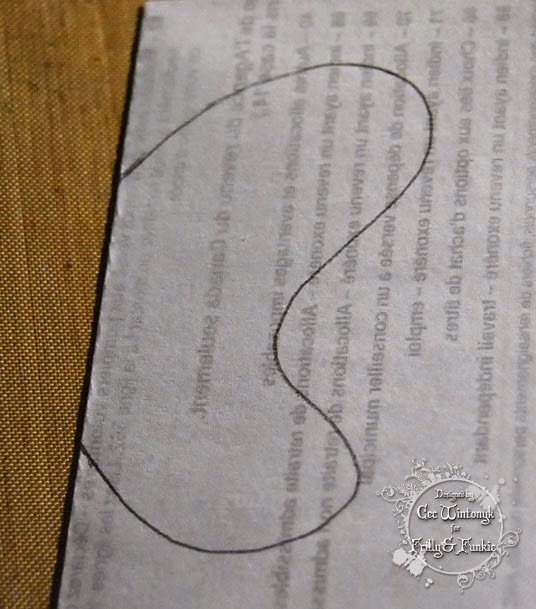 I used the negative of my die to do some stenciling with Dandelion Archival Ink in the centre of the oval and took a fine pen and drew around the oval. You will see later that I did some extra doodling on the oval. 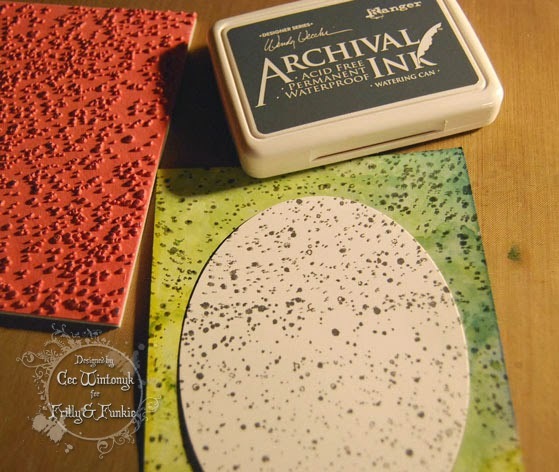 Next I put the oval down and used some Watering Can Archival Ink and the Wendy Vecchi Spatter stamp to stamp all over. Once I took the oval off I thought it was too harsh so I put the oval back on and inked all over it with some Dandelion Archival Ink, which made me happier. 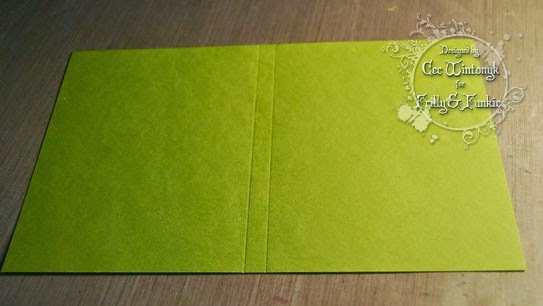 I also used some Fern Green Archival Ink to add some stencil borders. The next step was to stamp two flowers from the Wendy Vecchi Daisy Art set and fussy cut them eliminating the leaves on one and cutting one leaf from the other one. 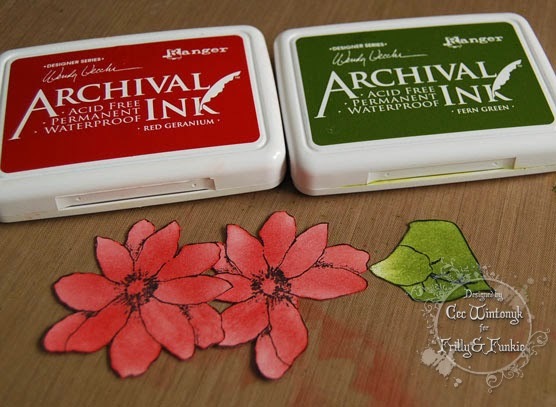 Next I inked the flowers with Red Geranium Archival Ink and the leaf with Fern Green Archival Ink. I took a paint brush and added some shading by dipping the brush in rubbing alcohol before I picked up colour from the ink pad. Next I used some Orange Blossom Archival Ink to stamp the pieces with the Ornate Wallpaper background stamp and then embossed them with some clear embossing powder. 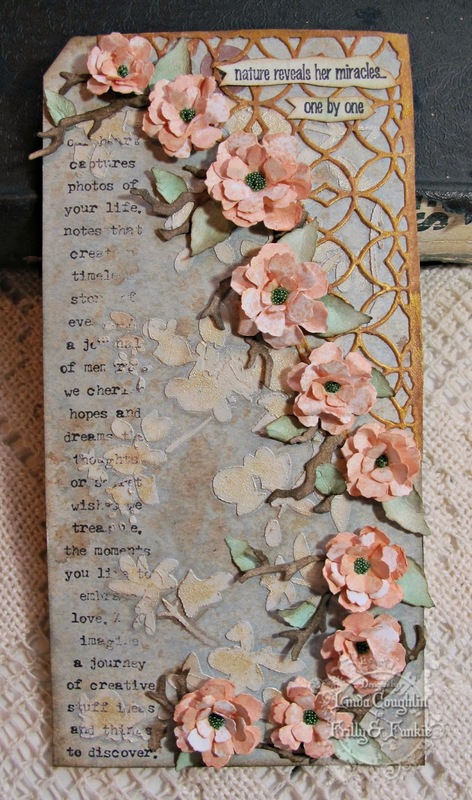 The flowers and the word NOTES were added to the background and the notepad holder was completed in the same manner as the first one. For this version and the last one, I will just describe my process as there are no techniques involved. 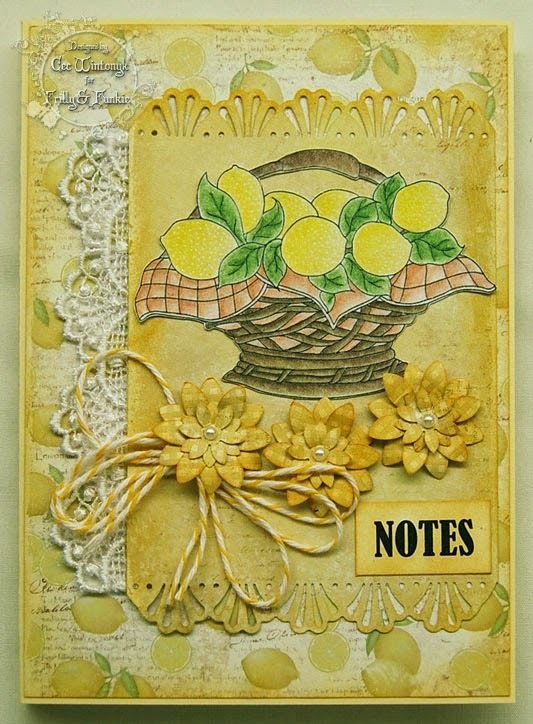 I started with some Maja Designs paper from the Coffee in the Arbour pad and cut the lemon paper as my background. I inked the edges with some Scattered Straw Distress Ink and used this ink throughout. I cut another of the papers smaller, punched the top and bottom with a Martha Stewart punch and added some venise lace to the left side. I felt like colouring and dug out this image of a basket of lemons, which is one I got when I was on Isabella's Sketchbook DT with Linda and Sue a few years ago. I coloured everything with Prismacolours blended with Odorless Mineral Spirits. Since lemons have a rough skin, I used an embossing stylus with a really tiny ball to make dots all over the lemons before I coloured them. I haven't coloured in ages so I think I need some practice. Next I used a couple of daisy punches with another paper from the set and made the little flowers adding pearl stickers for the centres. A baker's twine loopy bow and another computer generated word finished this off. Finally I thought one for the guys might be in order so I made this version. The background is some white corrugated cardboard that has been distressed and then inked with Frayed Burlap Distress Ink. 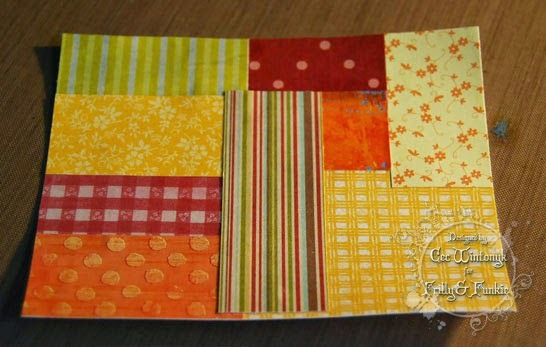 The clock face and the blue strip are from another Maja Design paper pad called Vintage Autumn Basics. I added a couple of brads to the blue strip and then I added a strip of burlap topped with an Idea-ology pen nib. 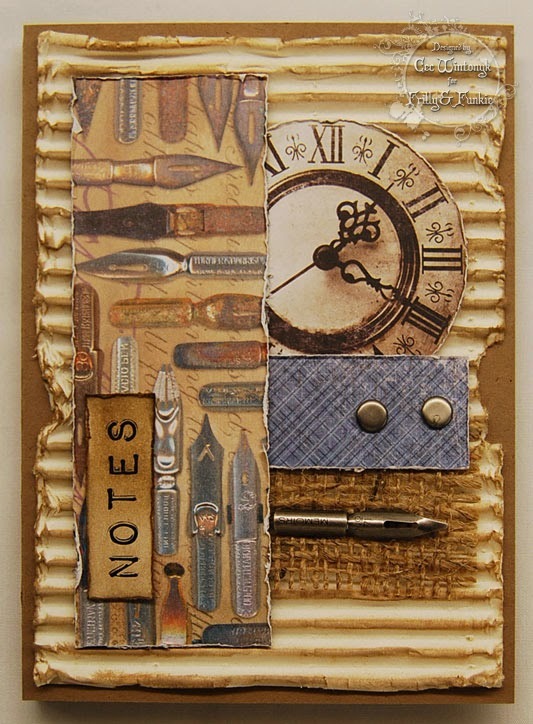 The pen nib paper is also from Tim Holtz and was a gift from a friend. Again, the text was created on my computer and inked with Frayed Burlap DI. So here is a final look at all four of my notepad holders. You will notice that each one of them has a fairly flat front profile and that is something I would recommend if you make some. When you open them up, if the front is highly dimensional, it doesn't open completely making it difficult to write on the pad. I hope you like them and give them a try because they are super easy and you can decorate them any way you want. The Best Thumb Link Product and it's Free! Welcome to today's Guest Designer, Nikki! Welcome to today's Guest Designer, Nancy!